Photoshop: "Reset foreground and background colors" button doesn't work. 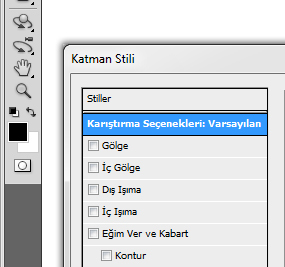 In Photoshop CS5.1, I can't reset foreground and background colors even with keyboard shortcut or clicking while layer styles panel open. I think it's a bug and will be good if fixes. While the layer styles dialog is open, you're in a modal state. In a modal state, there are a limited number of things you can do, and changing the foreground/background colors is not one of those things. The styles are not affected by the foreground/background colors - so there is no need to change them while the dialog is open. Hmm. This isn't enabled in CS4 either. I don't recall this functionality ever being enabled. What version of Photoshop do you have where it does work? I recall that function from Photoshop CS3 and also I mean the "reset fore/background color button", not big ones. I've verified that these buttons worked in CS3 with the Layer Styles dialog open. I've gone ahead and logged this in our bug database.